Until recently, the concept of controlling your environment through thought was purely science fiction. It was only 1968 when Eb Fetz, a researcher at the Center for Sensorimotor Neural Engineering (CSNE), first pioneered connecting machines to minds. He showed that monkeys can amplify their brain signals to control a needle that moved on a dial. 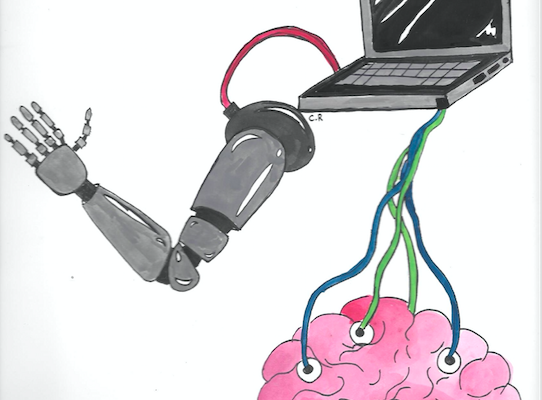 Today, the field of brain-computer interface (BCI) technology has allowed people to functionally merge with electrical devices. BCI tech can assist individuals unable to speak in communicating, and those unable to use their limbs regain mobility. 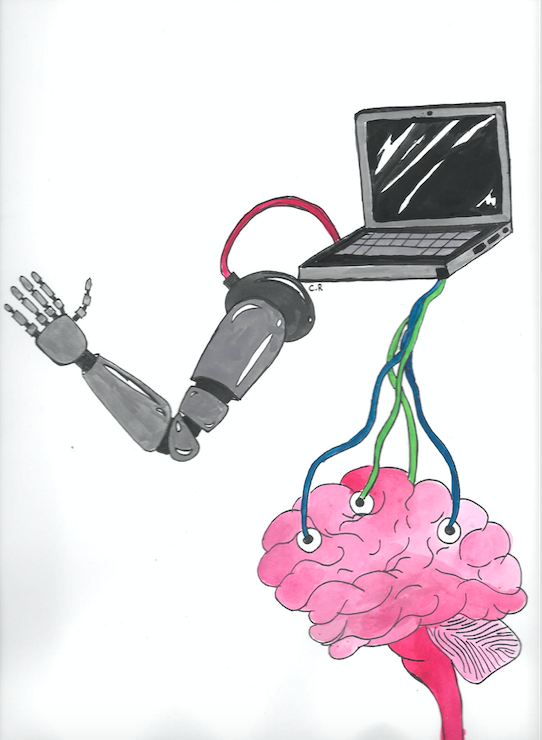 At the University of Pittsburgh, researchers used signals recorded inside the brain to control a robotic arm. At Stanford, researchers extracted the movement intentions of paralyzed patients from their brain signals, allowing them wireless control of a tablet. The most common BCI tech gadgets are Cochlear implants, devices that assist with hearing. What is brain-computer interface technology? So by current definitions, BCIs include all devices that convert neural signals into purposeful movements, for both medical and non-medical purposes. Restorative devices like neuroprosthetics help paralyzed patients move robotic limbs. In gaming, BCIs can allow players to move around and manipulate objects within virtual game environments using thought alone. What’s more, BCIs also include devices that enhance sensorimotor functioning past the typical range of human capacity (i.e. enhancement or augmentation). How does brain-computer interface technology work? Unidirectional and multidirectional transfers of information between the computer and the brain take place in Brain-Computer Interfaces (BCI). BCIs can use a wired or wireless system to allow transmission of signals from the brain to a machine. Non-invasive BCIs like electroencephalogram or functional magnetic resonance imaging do not involve intracranial surgery nor any implantation in the brain. On the other hand, invasive procedures like electrocorticography usually involve the implantation of electrodes epidurally (under the skin), subdurally (under the scalp), or intracortically (recording within the cerebral cortex). With the invention and usage of such technology comes the discussion of its moral and ethical implications. There are challenges in translating this BCI technology to practical clinical applications. Two of the major challenges in widespread BCI use are individual user risks and widespread societal risks and concerns. Invasive procedures like electrocorticography carry risks of infections or hemorrhage. As a result, there may be scarring and immune reactions, and this can cause implants to lose effectiveness over time. Another major issue is the biocompatibility between the implanted objects and the surrounding neural tissue. The implanted object may cause changes in the tissues, which in turn leads to neurological and psychological sequelae (a pathological condition resulting from a disease, injury, therapy, or other trauma). There is also the risk of altering cognitive processes such as decision-making. Sample explains that how a BCI affects behavior, decision-making, and cognition is still largely unknown. But “the biomedical literature has some very striking examples of strange effects, like personality changes caused by particular uses of deep brain stimulation.” The uncertainty surrounding potential effects of BCI on the brain is a major concern because long-term effects to the user have not been thoroughly researched. There is a long standing debate about whether or not structural or genetic abnormalities in the brain can mitigate responsibility of actions, leading to “my brain made me do it” arguments. The use of BCI technology can create nuanced claims: “my BCI technology made my brain make me do it.” BCI works to decode signals from the brain and translate them into commands to an output device that accomplishes the user’s intention. If the BCI malfunctions, it becomes difficult to determine if the user’s intentions were accurately translated into an action. BCIs may cause accidents. For example, if a BCI incorrectly interprets a wheelchair or prosthesis command and causes harm to another individual, it is difficult to pinpoint the true intent of the individual that caused harm. This would have an influence in legal disputes. There would have to be implementation of new laws and regulations to clarify policies regarding BCI technology and legal culpability. Legal cases would have to analyze the initial ailment (in cases of medical use), as well as the influence that a particular BCI technology has on cognition regardless of, or in combination with a medical condition. Invasive BCIs pose the most obvious risks to the users, but we should also ask whether the technology could be a threat to the body politic. Sample demonstrates that “just as we have asked whether the internet and social media have made us better, collectively, we can explore these questions for BCIs.” It is worth exploring the feasibility of integrating BCI seamlessly into medical treatment and healthcare systems. A specific example of a social concern of BCI implementation is the healthcare rationing of BCI technology. There may be risks to health care justice about the fair distribution of these very expensive technologies. Justice not only permits but in principle requires a national health scheme to deny some people of effective medical treatment they need. Rationing is unavoidable because need is limitless and resources are not. If there is widespread BCI use, questions about who to treat and what BCI technological services to offer will have to be addressed. How rationing of BCI technology occurs is important because it not only affects individual lives but also expresses what values are most important to society; for instance medical treatment of different disorders listed in order of precedence. Many of these risks are future-oriented and thus largely speculative, but Sample notes that “so is the act of imagining new neural technology; the question is whether we have speculated carefully and in cooperation with the people most likely to be affected.” There is no doubt that BCI technology can provide useful medical treatments, but it will require a lot of regulations. The concern lies with deciding if the risks of the of BCI are worth the risks of possible detrimental changes to the brain. There also needs to be better evaluation of potential societal concerns. In this evaluation there needs to be inclusion of expert opinions as well as the opinion of the diverse public that will be affected. There is still a lot of research that needs to be conducted, but the hope is that before new BCI becomes routinely used, there would be proper analysis of both individual user risks as well are the broad spectra of societal risks.